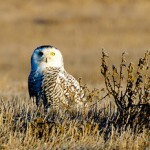 The northern half of the country has gone snowy owl crazy. An enormous generation of the spooky white birds has migrated as far south as Oklahoma looking for food to replace the temporary boom of lemmings they were raised on. To see if one is spotted near you, check out the eBird sightings because they’re showing up at airports and downtown waterfronts everywhere. Owl watchers tend to live by a Mason-like code. They won’t tell you exactly where their owl. They fear a crowd will annoy the bird or some idiot might shoot it. But, they may tell you the general area if you talk to a serious birder in person. If you don’t know any, join eBird, the birding site run by Cornell and the National Audubon Society that lets citizen scientists track and map each species. You sign on (for free) and look for snowy Owl–known formally as Bubo scandiacus and informally as Harry Potter’s Hedgwig–near you. Sort by this year only to see the recent sightings. You won’t get that precise of a location because of the code. The key thing to remember with a spectacular bird like a snowy owl is that you don’t have to be a good enough birder to spot the owl. You just have to be observant enough to spot the people watching the owl. And persistent enough to show up. 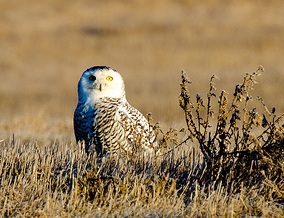 Unlike many North American owls, snowy owls hunt in the daytime. Many of the sightings have been mid-afternoon. ince the owls down here are desperate for food, they may be willing to hunt outside normal business hours and eat just about anything–mice, ducks, fish, roadkill. Still, dusk and dawn, the animal rushhour, is a great time to look. These birds prefer open meadows to forests, so that make it a bit easier, too. Chicago: Montrose Dunes of Lincoln Park, right on the waterfront. Denver: The airport is the hotspot–as well as the area of Harvest Road and Barr Lake State Park north of there. Milwaukee: In the morning people have been seeing a snowy owl on the downtown South Shore, especially the yacht club. New York: Jones Beach and Fire Island (especially Shinnecock County Park) are the closest to the city this month. But in November Gothamist reported one seen near the Verazzano Narrows Bridge. Ohio : A dozen birds have been seen around the state, but one in the exurbs of Columbus starved to death, the Columbus Dispatch reported. Oregon: Salishan Spit, about 30 miles northwest of Eugene, is the farthest south one appears on the West Coast this year. Philadelphia: Snowy owls are hanging around between the runways at Northeast Philadelphia Airport–not the big international one. Great, thanks, I’ll look it up. It looks like a really interesting book. Some time ago I believe Animal Tourism contacted me through my website http://www.crows.net for a possible interview about crows and winter crow roosts. At that time I was burried under the work of getting my book, “The Language of Crows: The crows.net Book of the American Crow”, ready for publication and put the request aside. Well, the book is finished now and was published on November 15, 2011. You can read the information about it at http://www.crows.net/crowbook.html and find out all about crow roosts and most anything else you ever wanted to know about crows. 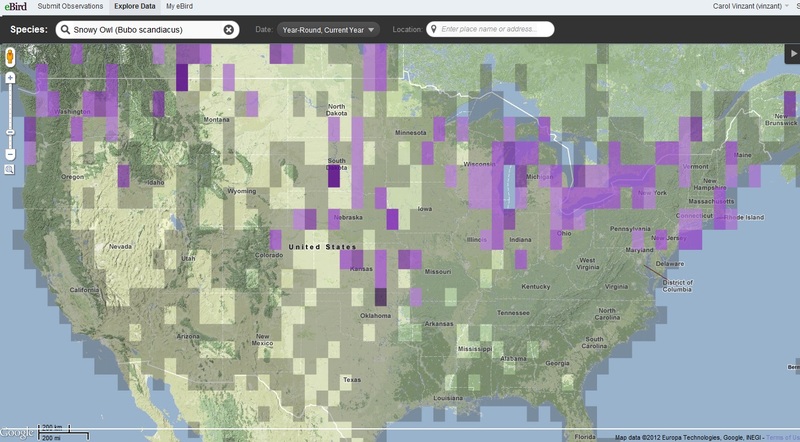 You can also find a map of Winter Crow Roost Locations on the website. I hope this proves helpful.